Gertrude is a senior aide in Eiserne Jungfrau, and a first-class priest. 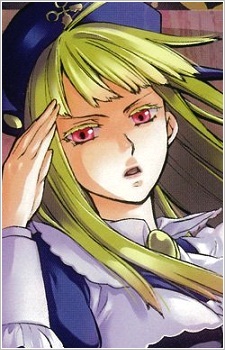 She wears a uniform similar to Dlanor's, and appears as a girl with red eyes and long blond hair. Like her comrades, she appears extremely deadpan when on duty, but is actually a very charitable character well-liked by her juniors. She was offered to be a top Inquisitor like Dlanor, but she kindly refused.